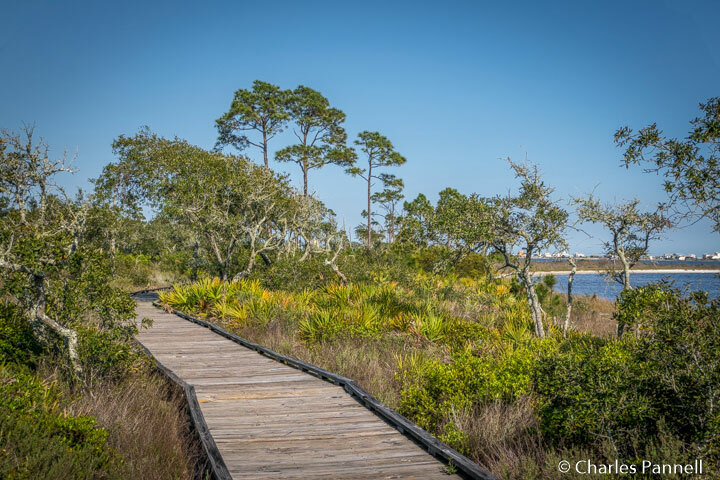 Although the Bon Secour National Wildlife Refuge (www.fws.gov/refuge/Bon_Secour) encompasses over 7,000 acres of coastal land in Southern Alabama, there’s one part of it that’s a must-see for wheelchair-users and slow walkers — the accessible Jeffrey Friend Trail. 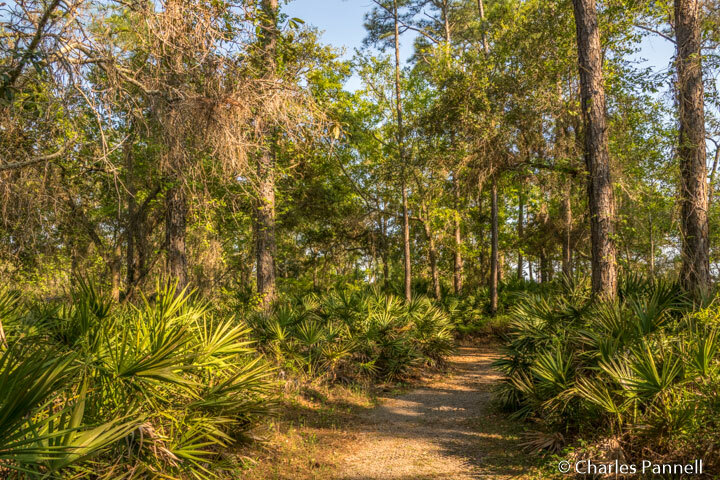 Located on the Fort Morgan Peninsula, about six miles from the intersection of Highway 59 and Highway 180, this barrier-free trail is across the street from the Peninsula Golf and Racquet Club. The name Ben Secour means “safe harbor” in French; and indeed the refuge serves as a sanctuary for many endangered species, including the Loggerhead Sea Turtle, the Piping Plover and the American Alligator. But more specifically, the Jeffrey Friend trail provides a window on this sanctuary for folks who can’t manage the more rugged back country trails. There’s accessible parking on a pavement slab near the trailhead, with level access over to the one-mile loop trail. The hard-packed dirt trail is wide and fairly level and covered with crushed rock. It meanders through a maritime forest filled will palms, pines and ferns, and offers ample shade, even in the blaring mid-day sun. There’s also a short boardwalk along a lagoon near the end of the trail, with an accessible viewing platform and benches. It’s a nice place to stop and take a break and just enjoy the view. All in all it’s a nice little trail, with plenty of opportunity to spy the bird life in the refuge. In April the migratory songbirds arrive, while the wading birds start nesting in May. The fall bird migration peaks in mid-October, and brings a nice variety of raptors to the area. And then there are the brown pelicans and osprey that can be spotted year round. No matter when you go, you’ll be treated to a spectacular — and very accessible — show, courtesy of good old Mother Nature.